The historic local family-owned business was originally established in 1913 at the Indianapolis City Market as “Klemm’s” by Karl and Mina Klemm. The original owners had a production facility on Buchanan Street. The 2nd owner was Otto Straub. Then, as the 3rd owners, Gerhard and Evelin Klemm took over the business in 1968 and relocated to the South Street location, consolidating production and distribution to one building. Gerhard, Karl Klemm’s nephew, ran the operation until December of 2002. Claus Muth, Gerhard Klemm’s nephew, bought the business in January of 2003. Karl Klemm, the founder of the business, was Claus' great-uncle (Claus' grandfather's brother). Claus (the 4th owner) had come over from Germany in spring of 1996, so he has been working at the store for over 20 years now. Claus began apprenticing in the meat trade in Germany when he was 17 and earned his Master’s Degree in sausage-making before he came over to the United States, so he has over 23 years of experience in the business. In May of 2006, Claus changed the business name to “Claus’ German Sausage & Meats.” We only changed the name back then. All the sausages and smoked meats have stayed the same, and it’s still in the Klemm family! Claus’ German Sausage & Meats relocated to 1845 South Shelby Street in the Fountain Square area in spring of 2007. This move returned the nearly century-old business to the near southeast side, after it moved from Buchanan Street in the late 1960's during the construction on Interstates 65 & 70. The new location is built on two lots, with six adjacent lots to be used for parking. The lots had been unused for nearly a decade after being vacated by a plating factory. Claus’ new store and production facility is on the site of a formerly blighted brownfield, which was redeveloped under the leadership of Southeast Neighborhood Development (SEND) and Fountain Square Main Street Program. Other project partners include the Local Initiatives Support Corporation, the Indiana Department of Environmental Management and the City of Indianapolis. Those groups secured a $300,000 grant from the Indiana Brownfields Program to help revitalize the site, in order to attract businesses such as Claus’ to the area, and encourage the further growth and renovation of the Fountain Square neighborhood. 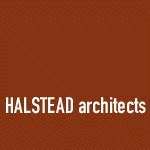 Design of the new building was by Halstead Architects; their office is located in Fountain Square.